You Are Here: Home » Travel » 5 Top Attractions In The Isle Of Wight, England. 5 Top Attractions In The Isle Of Wight, England. The Isle of Wight is located in the English Channel and is the largest island in England. Due to its southern location, it has a milder sub-climate than most other areas of the UK, making it a popular choice as a holiday destination. The Isle of Wight is especially sunny; boasting more yearly sunshine than parts of Northern Spain! Aside from its idyllic weather, this destination has plenty to offer those looking for a fun and interesting holiday. Here are some attractions visitors may want to consider. Another feature of an Isle of Wight holiday is that most people arrive by ferry, the ferry ports being East & West Cowes, Fishbourne, Ryde and Yarmouth. The Beatles, 1965 song “Ticket to Ride” was actually written about traveling to Ryde, Isle of Wight according to Paul McCartney. 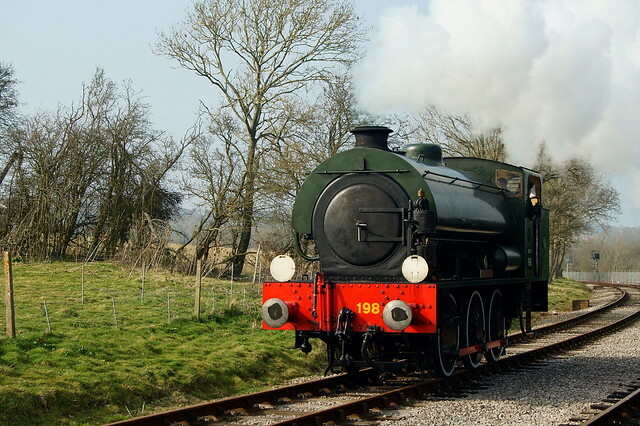 The Isle of Wight Steam Railway is an award-winning way to experience the island’s picturesque countryside. The unspoilt scenery of the Isle, with its magnificent rolling landscape can be viewed in all its glory along the way. With its stunningly restored Victorian and Edwardian carriages, the Isle of Wight Steam Railway is sure to impress those wishing to experience an authentic steam powered journey. Dinosaur Isle is an interactive museum showcasing the diverse geology and prehistoric fossils of the Isle of White. Located near the famous golden sand beach at Sandown, Dinosaur Isle takes visitors on a journey through time; from the last Ice Age back to the Cretaceous period when dinosaurs roamed the landscape. This brilliant attraction will fill visitors with a sense of awe for the breathtaking beasts that walked the earth all those thousands of years ago. The museum is complete with animatronic dinosaurs and an area where visitors can watch the latest discoveries being prepared. This entertaining and informative attraction should make the perfect day out for some family fun. For animal lovers, this multi-award winning attraction is a must-see. Situated near the town of Newport, Owl & Monkey haven is the perfect place to watch the owls in all their majestic glory, and hang around with some cheeky monkeys too! There are a variety of different primates located in its spacious enclosures, including the extremely endangered black-and-white ruffed lemur. This gives visitors a fantastic opportunity to see these rare and wonderful animals, and appreciate the great conservation work carried out by the dedicated staff at the Haven. Amongst the many species of owl on display, one awesome bird of prey, the Snowy Owl (Bubo scandiacus), is sure to give fans of Harry Potter’s winged friend something to be excited about. Facilities at Owl & Monkey Haven include a gift shop, tea room and adventure play areas for children. With so much on offer, this animal attraction is a sure bet for a great day out to suit everyone. This historic motte-and-bailey castle is situated near Newport in the village of Carisbrooke, and is famous for being where King Charles 1 was imprisoned before his trail. 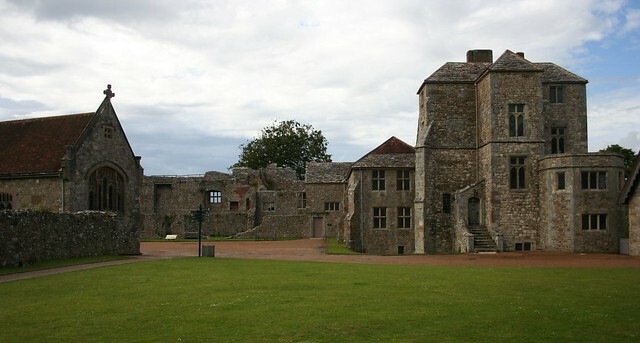 Built during the 12th century, Carisbrooke Castle is a fascinating showcase of the Isle’s early history. There are plenty of things to see and do at the castle, from climbing the keep and exploring its ancient walls, to seeing what’s on display at the free museum inside. With its well-maintained network of footpaths covering over 500 miles, this is definitely a top UK destination for walking enthusiasts. Ramblers can enjoy the pristine countryside and superb coastline, whilst keeping fit too! There are also many organised walks on the island throughout the year, giving tourists a walking holiday to remember. From steam-powered sightseeing to dinosaur marvels, the Isle of Wight really does have something to offer everybody. When booking a ferry ticket to the Isle of Wight, why not consider using the service offered by Channel Ferries, which lists all routes. Visitors are sure to have an unforgettable adventure on one of England’s treasure islands.